On this page you can download GeForce ForceWare 178.13 WHQL XP 64-bit. 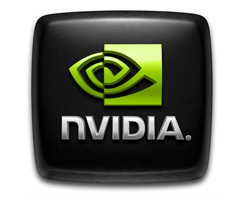 A new GeForce ForceWare 178.13 WHQL XP 64-bit driver available for download. WHQL-certified driver for GeForce 6-series, 7-series, 8-series, 9-series, and 200-series GPUs, including the newly released GeForce 9800 GTX+, 9800 GT, 9500 GT and 9400 GT GPUs. Supports Folding@home distributing computing application. Download the high performance client for NVIDIA GPUs here and join the Guru3D team: #69411. Have you read our eVGA GeForce GTX 280 HC16 Hydro Copper already ? Note: If you have problems downloading GeForce ForceWare 178.13 WHQL XP 64-bit, please try to stop using your download manager and avoid right clicking on files. Also, check your firewall settings, because some mirrors may require that you do not block the HTTP referrers.